The city. 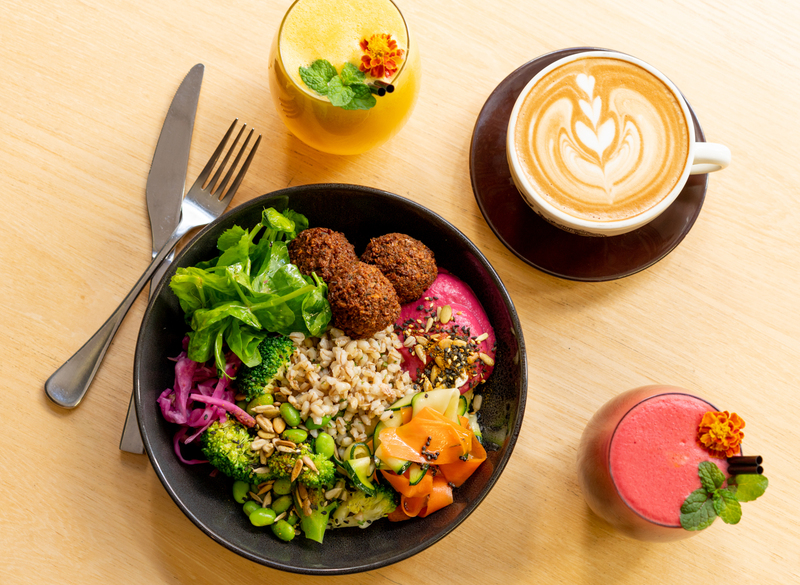 A land of food courts, pigeon infested laneways and emos flocking around Hungry Jacks (seriously, 2004 called and it wants its hair back) the CBD can sometimes be daunting when it comes to finding a lunch that’s equal parts delicious, affordable and ibis free. Tucked away in a three-storey historic building, Botero House is the hidden gem of the CBD. Known for their expertly made specialty coffee, the café’s new lunch menu is proving they’re more than a one trick pony. Fling your sandwich out your office window (we won’t tell mum), and make a beeline for Botero House. Ditch the office aircon (seriously, did we sign up to live in the arctic) and warm up with a mountain of slow braised duck ragu with roasted chipolini onion, salmariglio and grana Padano. Can’t decide between gorging yourself on butter chicken or wrapping your hot little hands around a burger? Botero House gets you bae, and doesn’t want to put you through that mental anguish. With onion bhaji, pickles, chutney and spiced yogurt on a brioche bun – Botero House has gone full Hannah Montana and given you the best of both worlds. If comfort eating from the cold snap has had you busting out of your jeans, you might want to ditch the burgers for the Botero House bowl. Bursting with falafel, grains, edamame, hummus and sauerkraut – this will keep you full AND keep your PT off your back. Winner winner, falafel dinner. As well as feeding our faces, they’re also keeping the winter chill at bay with their huge range of teas from exotic Jasmine Spice and Pai Mu Tan to delicate Fair Grey. Whether you’re snagging a wrap on the run, settling in for an open steak sandwich or soaking in the serenity over a tea, Botero House has got you boo. - the gourmand who would NEVER throw out her mums sandwich.